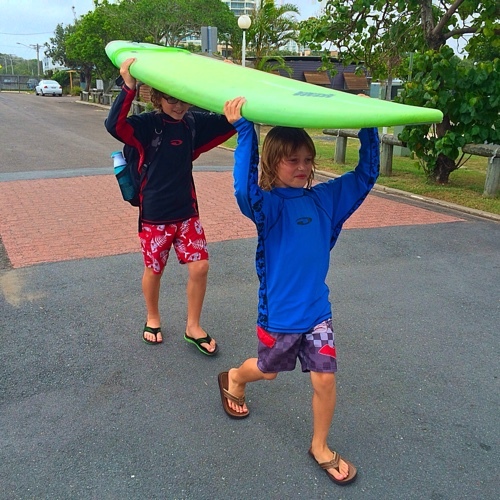 4 Steps to the Perfect Surf Lesson | Fit Family Robinson | The world is your gym. 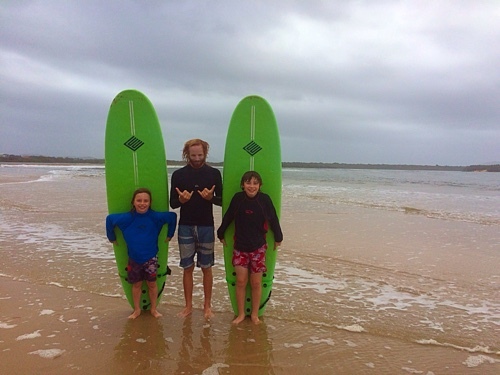 Maroochydore, Australia turned out to be the perfect spot to get long-awaited surf lessons for the boys. If you find yourself in this neck of the woods, here are 4 things you should do to have the perfect experience. 1) Talk to a lifeguard. 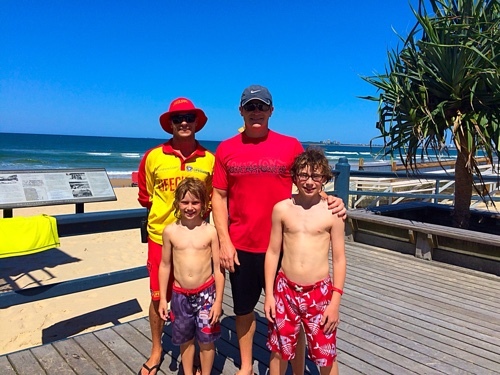 I met Beau at the lifeguard lookout on Maroochy Beach. I intended just to ask the dumb questions that a land-locked foreigner like me would ask: Are there jellyfish? Rip tides? Reefs? Sharks? Crocs? Etc. I ended up talking to Beau for close to an hour, about life and travel and everything in between. 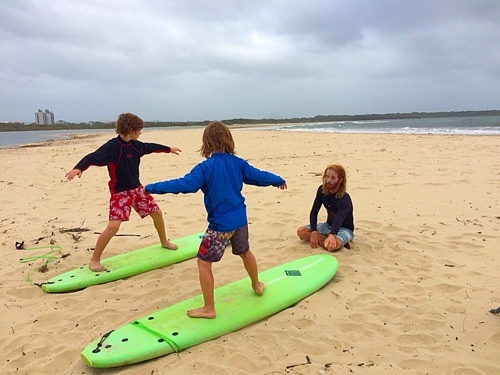 I also mentioned that I wanted to set up surf lessons for the boys. He gave me a number and said ask for Ian. He said Ian was schoolteacher and had the perfect personality for the boys. Simple as that. Rang him up and had a lesson on for 9am the next morning. As the video above shows, the boys had an amazing time. Ian was awesome. Got them going right off the bat and it was go-go-go from there. Could not have been any better. As a coincidence, we found out that Ian had just returned from Sumbawa, Indonesia a couple days earlier. 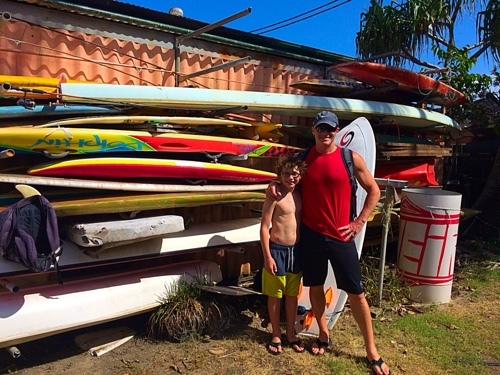 His family has a surfing camp/motel there. My mom and dad lived on Sumbawa for 5 years and as we pieced the story together, we realized that Tam and I were probably there at the surf camp at the same time Ian was about 10 years ago. Small world. Ian was right. 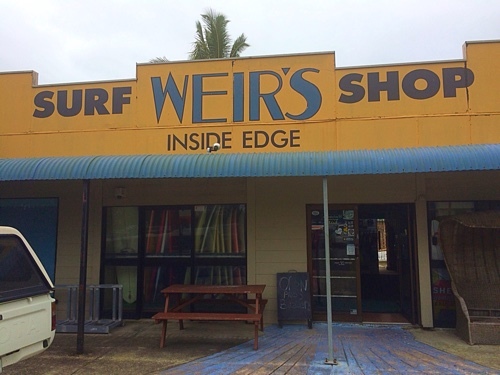 Weir’s Inside Edge surf shop is a total gem. 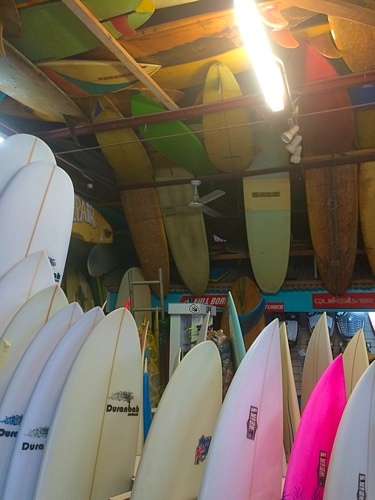 You know when you walk in the front door that you are in the heart of surfing. The place has a real soul to it, which comes from three generations of Weirs. Bryan Weir, the owner, runs the shop with his children and 91 year-old father. Bryan walked us around the shop as we asked about the history of the place. 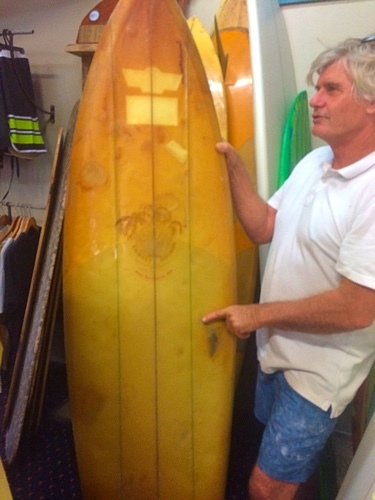 He gave us a little lesson on building and shaping boards and told us about some of the champion surfers that ride their boards (check out Jalessa Vincent, for one, and her hot pink board made by Weir’s). 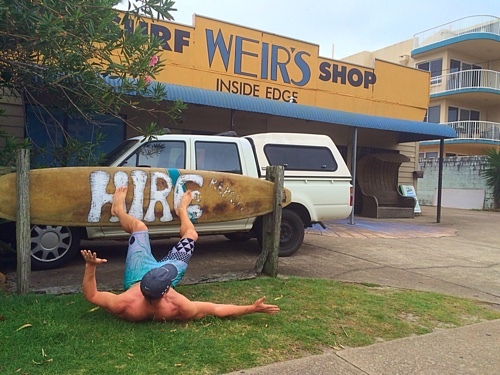 Bryan failed to mention his own surfing awards. I found that out later. The Weir family is littered with surfing titles. 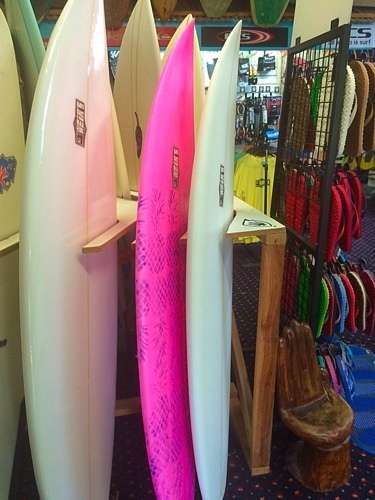 We rented the boards for a week and Bryan let us store them in back of the shop since we were on foot. 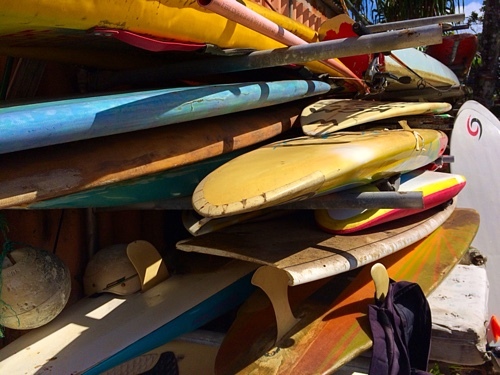 It became a daily ritual to walk to the shop, grab the boards and head to the nearby. Along the way we got to have some great conversations with Bryan and his son Daman. Every visit was welcoming and relaxed, with no agenda other than to have a friendly conversation with friendly people.